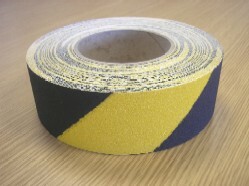 As a result of customer enquiries for a more efficient anti slip tape PAL have developed this new bespoke product designed to accommodate all types of flooring requirements. 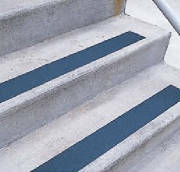 This hardwearing high tack anti slip tape has 2 different grit levels and is suitable for edges of stairs, walkways, ladders, boat decking and a wide variety of other uses. Principle applications are in factories, offices, public buildings, hospitals, sports halls and leisure facilities.